Pound traders appear undaunted by the lack of Brexit clarity even with just days left for Britain to officially leave the European Union. The UK currency is up Monday and a gauge of expected short-term sterling volatility is near a two-week low, showing there’s little panic even as the April 12 exit date draws closer. Investors are increasingly convinced the country will be able to get a deadline extension, securing more time to work out a consensus solution for Brexit. “The market has already taken it as a given that the vast majority of MPs are going to try and scupper Brexit and block it for as long as they can,” said Stephen Gallo, head of European currency strategy at BMO Capital Markets. “The odds of a no-deal on Friday are relatively low.” While the UK currency remains about 12% weaker than before the 2016 referendum, it has gained more than 2% this year and reached a nine-month high of $1.3381 in March. The pound could return to those levels if an extension is granted, according to a Bloomberg survey last month. Debate is set to resume Monday in the House of Lords on a draft law aimed at forcing the government to seek an extension to avoid a no-deal departure. Oil held gains after rising to the highest in more than four months in London as ongoing tensions in Libya added to concerns over supply. Brent futures added as much as 0.7%, approaching $71 a barrel. Libya’s internationally-recognised government vowed to counterattack against forces loyal to strongman Khalifa Haftar which are trying to enter the capital Tripoli. Saudi Arabian Energy Minister Khalid Al-Falih also said in a Bloomberg TV interview that the Organisation of Petroleum Exporting Countries, which is cutting output, remains focused on bringing down inventories. Crude prices have continued to climb after their strongest quarter in almost a decade as OPEC and its allies curb output while economic and political crises squeeze supplies from member nations Venezuela and Iran. An escalation of the conflict in Libya, which pumped 1.1 million barrels of crude a day last month, risks creating a supply shortfall. “In the event of renewed production outages in Libya, the oil market risks sliding into an even larger supply deficit in the second quarter,” said Carsten Fritsch, an analyst at Commerzbank AG in Frankfurt. Brent for June settlement advanced as much as 0.7% to $70.86 a barrel on the London-based ICE Futures Europe exchange, the highest since November 12. The contract added 1.4% to $70.34 on Friday, taking its weekly gain to 2.9%. The global benchmark crude was at a premium of $7.28 to WTI for the same month. West Texas Intermediate for May delivery rose 35 cents, or 0.6%, to $63.43 a barrel on the New York Mercantile Exchange as of 11:48 in London. Prices rose 1.6% to settle at $63.08 on Friday, the highest closing level since November 5. Fighting on the outskirts of Tripoli showed no signs of abating despite appeals for calm by global powers and the United Nations. While the latest conflict is south of Tripoli - away from most of the main oil ports and fields - the risks of disruption rise the more inflamed the tensions get. Western Libya is home to the Zawiya oil terminal, the export point for crude pumped from the country’s largest field, further south at Sharara. Oil’s gains are still being moderated by the ongoing supply boom from the US shale industry. American rigs climbed by 15 to 831 in the first increase since mid-February, according to data from oilfield services provider Baker Hughes. Turkish President Recep Tayyip Erdogan urged the country’s election board to investigate “widespread irregularities” in local elections in Istanbul, where a partial recount is already underway after the ruling party contested its defeat. The lira declined on the remarks. “There is stealing from the boxes,” Erdogan said. “We’re applying to the YSK against that organised intervention at the ballot box,” he said, referring to the High Election Board. In the US “they renew elections when there is a one percentage point difference,” the president said in what could signal a push for a new election in the city. Erdogan’s comments suggest that he’s unlikely to concede the Istanbul race, the most symbolically important ballot of Turkey’s March 31 municipal elections. His refusal to accept the results so far is drawing criticism from the Turkish opposition parties who say the mayor’s office in Turkey’s largest city now belongs to them. The surge in political tensions is taking a toll on financial markets and the lira declined against the dollar after the president’s remarks. The currency’s slide was exacerbated by the central bank’s decision on Monday to unwind emergency measures it adopted two weeks ago to bolster the currency, according to Guillaume Tresca, an analyst at Credit Agricole SA. The lira weakened as much as 1.5% as policy makers reduced the interest rate offered on the lira leg of foreign-exchange swaps to 24% from 25.5%. They also resumed offering funds to commercial lenders through their one-week repo auctions. The currency traded 1.1% lower at 5.6873 per dollar as of 11:49 in Istanbul. The March 31 municipal vote ended a quarter century of rule by Erdogan’s Islamist-rooted movement in Ankara, the capital. But it’s the apparent defeat in Istanbul that has galvanised his ruling AK Party into refuting the preliminary results. “No one has the right to claim victory in Istanbul with just a 13 000 to 14 000 vote difference,” Erdogan said, referring to the gap between the candidate of the opposition CHP, who was initially declared winner, and the AKP’s pick for mayor. The governing party has already sought the cancellation of voting in Istanbul’s Buyukcekmece district and applied to the election board for a recount of all votes in the remaining 38 districts across the country’s largest city of 16 million people. 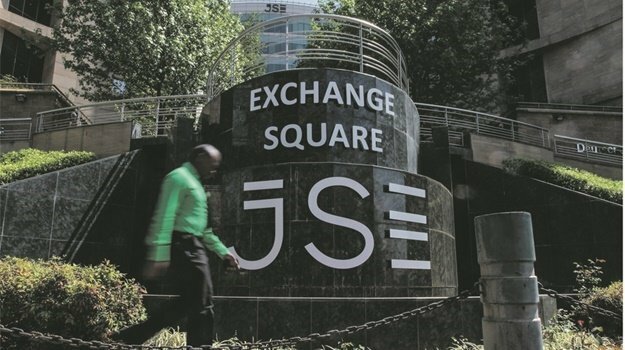 Bianca Botes, Corporate Treasury Manager at Peregrine Treasury Solutions said the rand started the day at stable levels against major currencies, remaining fairly flat although edging marginally weaker compared to Friday's close. By 10:41 the rand was changing hands at R14.13 to the greenback. "Currency markets continue to focus on the China-US trade talks and Brexit developments. "Today sees a light data calendar, with UK inflation expectations and US factory orders due for release," she said. Stocks in Asia kicked off the week on a cautious note and European futures fell, while the yen inched higher with gold as investors digested the progress made on trade last week and U.S. employment data Friday. Oil rose as fighting in Libya raised the risk of supply outages. A rally in Shanghai fizzled, with the market there underperforming, while equities also fell in Tokyo as the yen pushed higher. Shares rose in Sydney and saw modest gains in Hong Kong. S&P 500 Index futures slipped after the benchmark rounded out last week with gains that took it to a six-month high. European equity-index futures also fell, signaling stocks will start trading lower in London and Europe. The dollar was steady and benchmark Treasury yields ticked below 2.5%. As President Donald Trump pressured the Federal Reserve to sustain growth, comments from both the US and China suggested progress was being made in trade talks.China and the US will keep talking on remaining issues after making new progress in the latest round of talks, Xinhua reported. Trump economic adviser Larry Kudlow said the two sides are "closer and closer" to a deal, and that top-tier officials would be talking this week. Oil extended gains after capping its best week in almost two months. Forces loyal to strongman Khalifa Haftar are trying to enter the Libyan capital Tripoli in an escalation of fighting. The potential disruption to oil supplies from a member of Organization of the Petroleum Exporting Countries overshadowed the biggest increase in US active rigs since May. Elsewhere, the pound edged higher as British Prime Minister Theresa May appealed to both the public and politicians in search of support for a compromise departure plan. While May will meet EU leaders Wednesday to make her case for a short extension to June 30, European Council President Donald Tusk is pushing for a delay of as long as a year to allow time to forge a new consensus.